ISRO said the initiative will accelerate the development of indigenous electric vehicle industry. 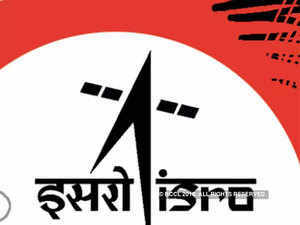 Indian space agency ISRO on Tuesday announced it has decided to transfer its own lithium ion cell technology to Indian industry on a non-exclusive basis for usage in automobiles for Rs 1 crore. In a statement, the Indian Space Research Organisation (ISRO) said the initiative will accelerate the development of indigenous electric vehicle industry. The Vikram Sarabhai Space Centre (VSSC) located in Kerala will transfer the lithium ion cell technology to the successful Indian industries/start-ups on non-exclusive basis to establish production facilities in the country that can produce cells of varying size, capacity, energy density and power density catering to the entire spectrum of power storage requirements, ISRO said. According to ISRO, the request for qualification (RFQ) will be issued from Wednesday for a price of Rs 25,000 and a security deposit of Rs 400,000 has to be paid along with the application. The RFQ contains a brief description of qualification process & technology transfer process, instructions to applicants, eligibility criteria, timelines and various forms for submitting RFQ. Interested applicants shall attend a pre-application conference scheduled on July 13. All queries or request for additional information concerning the RFQ shall be attended only in the pre-application conference, the space agency said. ISRO also said that the "competent firm's security deposit will be adjusted against the technology transfer fee of Rs 100 lakh. Security deposit of unsuccessful applicants or withdrawn applications will be returned, without any interest". The one-time technology transfer fee has to be paid within 30 days of qualification date. "Technology shall be transferred to all/any of the competent firms who qualify the eligibility criteria as specified in the RFQ. The required process documents shall be provided by ISRO at the time of signing of technology transfer agreement and payment of technology transfer fee," ISRO said. Presently, the lithium-ion battery is the most dominant battery system finding applications for a variety of societal needs including mobile phones, laptops, cameras and many other portable consumer gadgets apart from industrial applications and aerospace. Recent advances in the battery technology have made it the preferred power source for electric and hybrid electric vehicles also.